I live in Miami Beach but love travelling all over the world. This is part 18 of a series on my trip to Austria, Germany and China. This is another of our No Credit, No Problem series of posts that you can do with no special credit needed! Club Carlson has announced their latest promotion and it’s pretty nice! 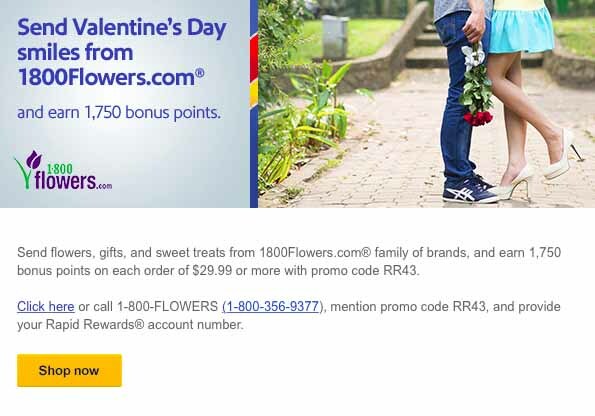 Now through March 31, 2015, for each 2 night eligible stay you will get 15K bonus gold points and for each 3+ night stay you will get 30K bonus gold points. Most paid rates will count as eligible stays but some deeply discounted rates such as Friends and Family rates may not apply. 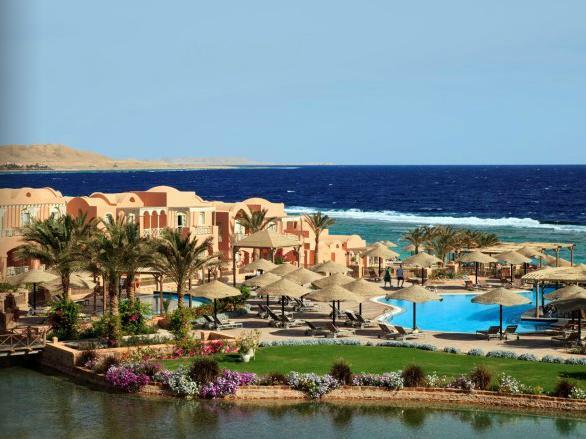 You could consider this a 7.5K per night bonus for 2 night stays and 10K per night bonus for 3 night stays which is pretty awesome since for just 9000 points you can get a free night at a property like this Radisson Blu in El Quseir, Egypt. These bonus points are in addition to the 20 points per dollar you get for hotel spending and 10 more points per dollar if you have the Club Carlson Premier Rewards Visa. Since this promotion can be earned multiple times, the optimal strategy would be to split up your stays into either 3 or 2 night reservations so you can get 60K bonus points from a 6 night stay instead of just 30K. There is really no reason not to sign up and it just takes a few seconds to enter your email address or Club Carlson number. So click here and get to it and start enjoying bonus points! It looks like the full integration of American Airlines and US Airways merger is chugging along. When I logged into my AA account today I was shown the following message. Once I put my Dividend Miles # in, it matched my accounts together and I received an email from both programs saying my accounts had been matched. As you can see from the screenshot some time in the 2nd quarter of 2015 they will combine the miles and activity of both programs and then email you. 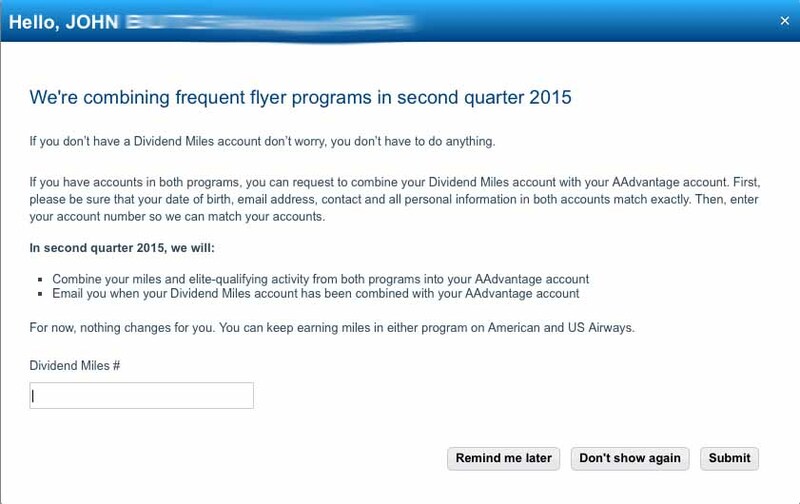 In the mean time you can continue to credit your miles to either American or US Airways. Author John ButlerPosted on January 5, 2015 January 5, 2015 Categories No Credit? 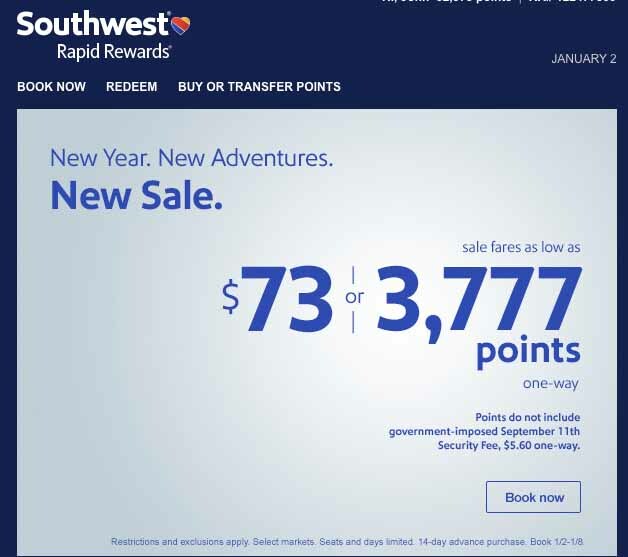 No Problem!, Southwest Rapid RewardsLeave a comment on Southwest New Year sale! 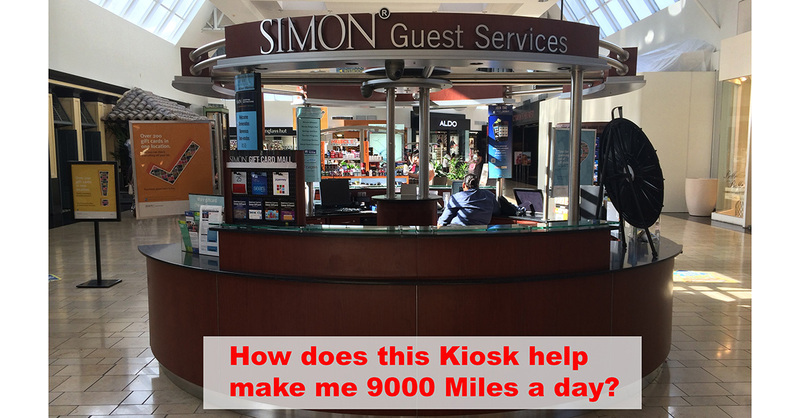 FLL-MDW 9K points roundtrip, FLL-BWI 10K, FLL-AUS 9K, and many more! 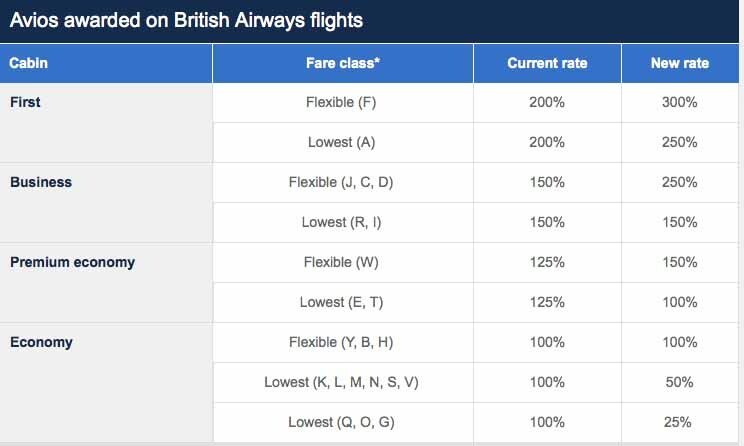 Membership Rewards 40% British Airways transfer bonus! 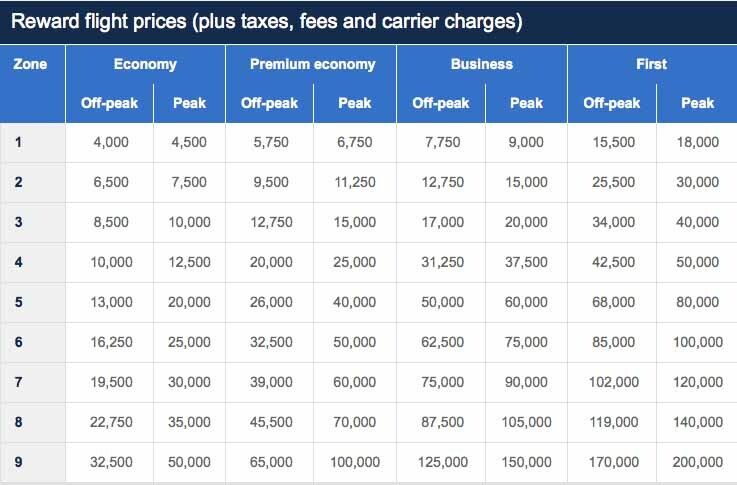 Author John ButlerPosted on December 24, 2014 Categories Amex Membership Rewards, British Airways Avios3 Comments on Membership Rewards 403 British Airways transfer bonus! 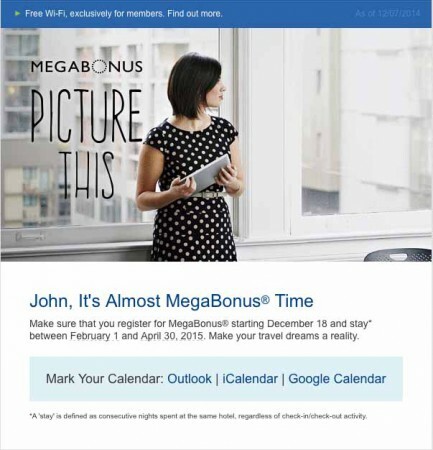 Marriott’s latest MegaBonus promotion is live, plus free wifi! Author John ButlerPosted on December 19, 2014 December 19, 2014 Categories Marriott RewardsLeave a comment on Marriott’s latest MegaBonus promotion is live, plus free wifi! Simon Malls has been the best deal in town for gift cards for a long time now. My local mall knows me by name I go there so much! It is my favorite way of Manufactured Spending to generate miles! By using a card such as the Barclaycard® Rewards MasterCard® you can even make a profit!